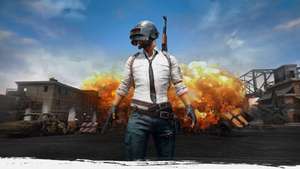 Play Pubg at your local Belong Arena on an xbox one x or free. Thought this was a good one for half term if you have Pubg mad kids or yourself. It lasts half an hour at a Belong arena near you, These are usually in a game store. Yes I know game can be robin so and sos but who does not enjoy a freebie? If you do manage to get your chicken dinner, you can be in with a chance to win a copy. Belong arenas are located in around the country. You could even go with some mates and have a laugh or even have a birthday party there for free if they have enough Xboxs. So tempted to do this! It lasts until 19th of February. I read today Sports Direct stores have started dedicating floor space for this Belong arena (deal with GAME). A great game unless you have a cheating son of a..... playing in your battleground. Then it's so frustrating. Still, if its someone else's Xbox I won't feel so bad about throwing it through the screen. Hmm, perhaps I won't go. A great game unless you have a cheating son of a..... playing in your …A great game unless you have a cheating son of a..... playing in your battleground. Then it's so frustrating. Still, if its someone else's Xbox I won't feel so bad about throwing it through the screen. Hmm, perhaps I won't go. They've banned millions of people for cheating. I have racked up a fair few hours on PC as well and have come across a fair few cheaters recently thanks to the death cam. Just last night some guy killed me without actually seeing me. According to the death cam he was facing one window then simply turned around to the opposite aimed down sights and shot me. Even though I was not once visible (blacked by trees) or making any noise to even give him a heads up that I was in that genral area. Good for half term. Would it be illegal of the organisers to allow under 16s to play or view the game. I read today Sports Direct stores have started dedicating floor space for …I read today Sports Direct stores have started dedicating floor space for this Belong arena (deal with GAME). It's not a deal with GAME. They are slowly becoming one and the same company due to ownership. The problem with what you are saying is that cheaters try to hide the fact they are cheating - they don't run around wearing badges. Apparently in the early days they didn't bother turning around to shoot you. Now they have the pretext of advising by the rules. I've been headshot from 200+yards with a shotgun, I've shot a player the times in the head with a shotgun without them dying - they then turned around and killed me. This aint agony aunt! Stick to the deal plz! Came on here to see what the deal is about and ended up reading about …Came on here to see what the deal is about and ended up reading about peoples life stories about the game...This aint agony aunt! Stick to the deal plz! Exactly. People should NEVER discuss their experiences of a deal. Never! Exactly. People should NEVER discuss their experiences of a deal. Never! …Exactly. People should NEVER discuss their experiences of a deal. Never! That doesn't mean that those accounts that have been banned have ever even played a game. Just that the anti cheat system has banned the account. Most get banned as soon as they try to run the cheats and play. I've played around 650 hours and only encountered a handful of cheaters. Less in recent month. People whinge that they see cheaters via the deathcam but don't realise the deathcam is buggy as hell so it looks like people shoot through walls etc. It really isn't that prolific. if you win or are last 2 or 3 it's generally about 25mins, at 30 mins the circle is tiny and doesn't stop till its a pinprick. lots of other proof there, aimbot, ghosting etc. Good for half term. Would it be illegal of the organisers to allow under …Good for half term. Would it be illegal of the organisers to allow under 16s to play or view the game. Parents buy games like CoD and Battlefield for their kiddies, these companies don’t care for the sole reason that if there was a system in place to check/suspect/ban such activities, the games would sell far less copies than they actually do, and the AAA publishers would be complaining like crazy to the ESRB (who they fund) to reverse the system (which the ESRB would obviously oblige to). [Video] He's a confirmed cheat. But gullible people will believe what they …[Video] He's a confirmed cheat. But gullible people will believe what they want... [Video] lots of other proof there, aimbot, ghosting etc. You literally posted a video in which the description says 'just a joke, I know he doesnt cheat' as proof? 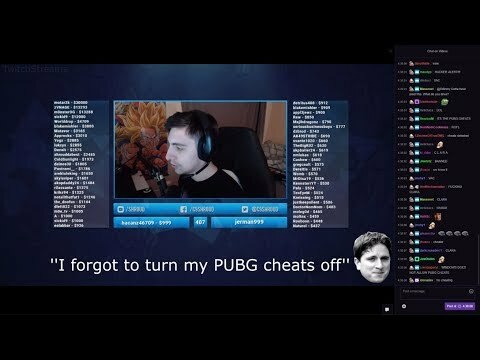 Where is this confirmation of shroud cheating?